NABJ to induct Dorothy Leavell and John H. White into its Hall of Fame on December 16, 2015. 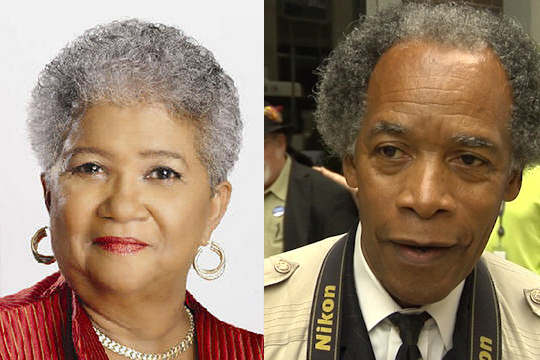 July 20, 2015—The National Association of Black Journalists today announced that Chicagoans John H. White, Pulitzer Prize-winning photojournalist and photojournalism educator, and Dorothy Leavell, publisher of the Chicago Crusader are among this year’s 11 inductees into the organizations Hall of Fame. The induction ceremony will take place at the Marriott Wardman Park in Washington, DC on December 16, 2015, as part of NABJ’s 40th Anniversary Gala. “NABJ is honored to recognize this exemplary group of African American journalists whose work has broken barriers and reached the highest standards in journalism,” said NABJ Executive Director Darryl Matthews, Sr.